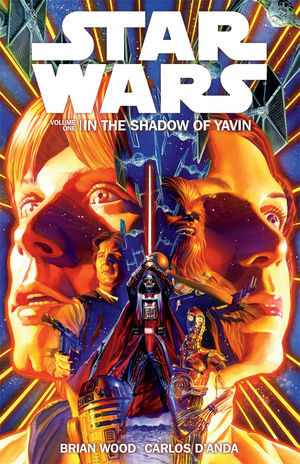 Star Wars: In the Shadows of Yavin, by Brian Wood and Carlos D’Anda picks up, well, right where the title says it does. In the shadows of the events of Yavin IV. An exhausted Rebellion is fueled by their victory over the Death Star and scattered across the stars, jumping from point to point for safety. The Empire is shattered and resilient, quickly bouncing back from their defeat with the construction of a second Death Star on the forest moon of Endor. This story opens with an X-Wing squadron, including Luke and Leia, scouting out a new Rebel Alliance base, being ambushed by Imperial TIE Fighters. There was a lot in that sentence, so lets go ahead and unpack that a bit. Yes, Leia Organa was piloting an X-Wing. I had a bit of trouble with this idea though. On one hand, she is the daughter of one of the best pilots in the galaxy and the sister of the guy who destroyed the Death Star. There is no reason for her to not be a fantastic pilot. On the other hand, there is no reason FOR her to be a pilot. This is the first time, canon or Expanded Universe, that we have seen Leia independently pilot any spacecraft and it seems incongruous to her character. The ambush happens because the Rebellion has a leak, and most of the Rebel side of the story is about resolving that leak. Han is lost on Coruscant trying to acquire supplies for the Rebel Alliance, and Darth Vader is, well, being the Darth Vader we know and love so much. The artwork is great, but sometimes without script cues it was hard to tell a couple of the characters apart. For a story about the burgeoning Rebellion and the Empire preparing to strike back, it was fun and engaging, and I am looking forward to seeing where it goes next. That being said, I would not recommend this as essential Star Wars Expanded Universe reading, but definitely enjoyable Expanded Universe reading. 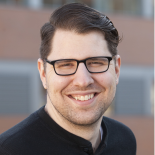 This entry was posted on January 10, 2014 by Nathanial in Book Reviews and tagged Comic Books, Dark Horse, Darth Vader, Expanded Universe, Han Solo, In the Shadows of Yavin, Leia Organa, Luke Skywalker, Princess Leia, Star Wars, Star Wars: Expanded Universe.